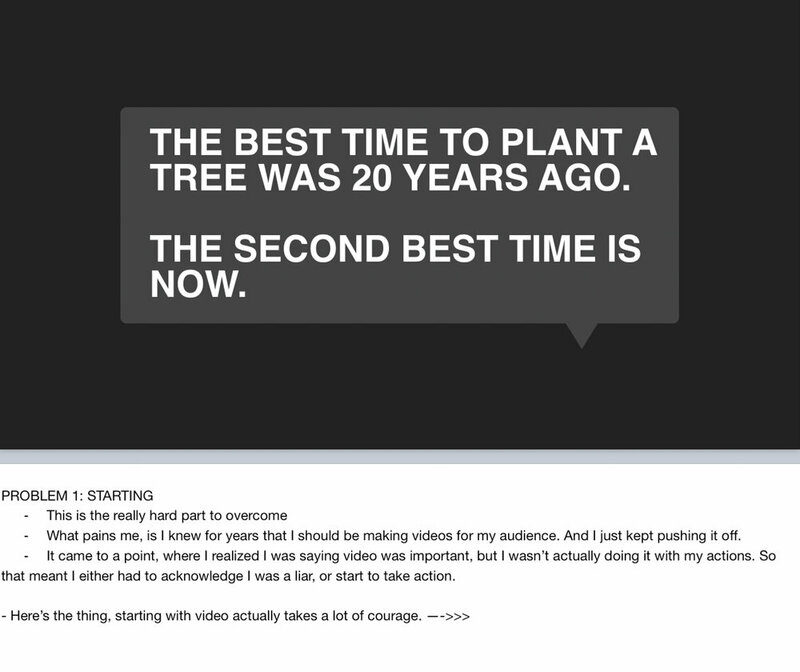 Why should you start making videos? That's what I set out to answer in the talk I delivered at Craft + Commerice 2017. I not only wanted to convince people they should start making videos, but also give them some advice and encouragement to get them started. Below I have all my slides from the talk in one big gallery. 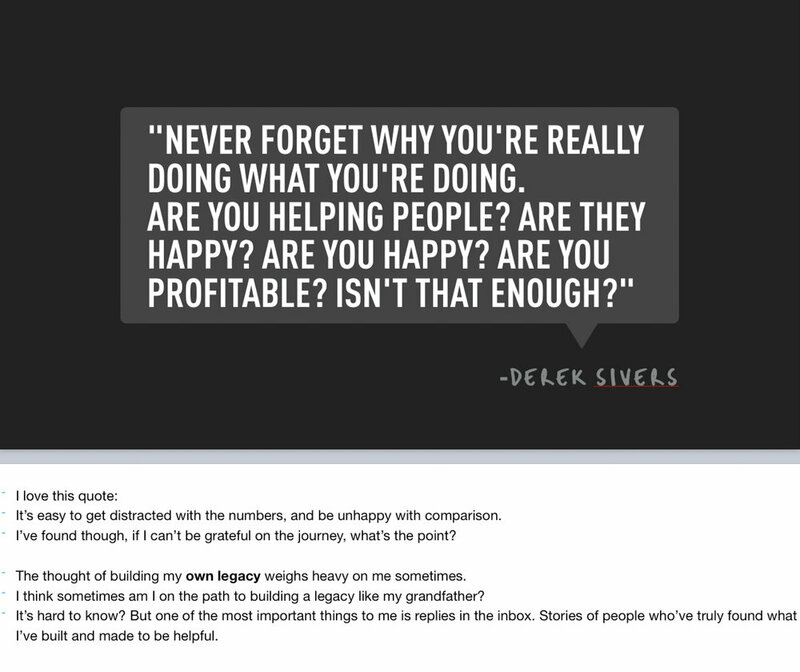 My speaking notes are also shown below each individual slide. Underneath the slides I have the main body of text the I used to build this talk from, using months of jotting down notes, and refining my ideas. I am hoping this talk is something that helps push you over the edge to start. I truly believe when looking back 10 years from now, you are going to wish you had started sooner. Now's your chance. Go and start. I feel so grateful, because i really love what i do. I am an intensely curious person, and filmmaking gives me an outlet to explore the questions I have about people I find fascinating. Through videos I have had the opportunity to meet and spend time with some of the most inspiring people from all walks of life. I love filmmaking. I mean seriously, what other careers is it socially acceptable to follow people around badgering them with questionsand filming them. This journey of “Becoming a Filmmaker” has been anything but straightforward. I struggled deeply with feeling like an imposter, and I was disappointed with the quality and impact of my work. I wanted to make something I was truly proud of, yet it felt like a majority of the ideas I had just petered out.. In the summer of 2015, I managed to tackle and follow through with my biggest project to date. I made a documentary about Slack liners. TWO: That i would pour my heart into it and nobody would be there to watch it when it’s done. Maybe you have similar fears, especially after this weekend. You might have some great ideas you are getting excited about, but how do I make sure there is actually people who truly deeply care. So i went ahead produced the film: I managed to independently produce the film with my freelance income. Shot, Directed, Edited, and everything in between. I self funded it through freelance work I was doing, I used the gear of a production company I was apprenticing with, and I edited it in the evenings after I was done doing client work. I WENT STRAIGHT ONLINE FOR FREE: AUDIENCE HELPED ME DO IT. When I released the film I skipped the traditional film festival route, put it online for free, while offering a 4k version people could purchase. The launch was a massive success. Not only was it incredibly validating as a filmmaker to have people resonate with my work. I ended up landing an international distribution deal and now the film is currently playing all over the world. 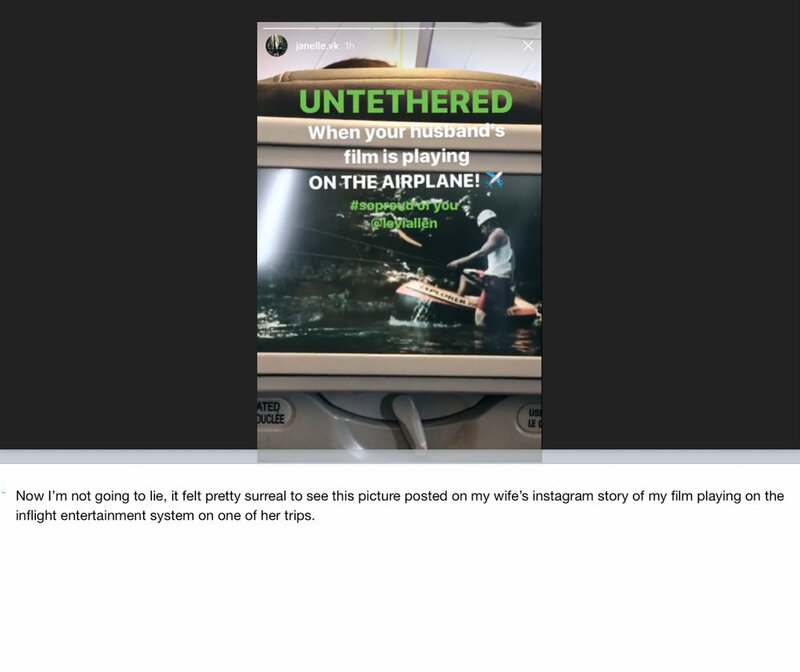 “I’ve gotta say, It was a lot of fun getting texted pictures from my wife on one of her recent plane rides, watching the film. Needless to say, my biggest fear didn’t come to pass. In fact, it felt like the furthest thing from my fears. But I skipped a larger part, of the story I just told you. I strongly believe this was a success, and that i reached the goals I set, this was attributed to the process I went through is because I started making videos for my audience along the way. I say my audience, but when I was starting I really didn’t have an audience. And that was part of my feat. But non-theless I started creating online videos while working on the film. BTS videos, tutorials, and whatever moments I could bring them in on. THE RESULT: was people supported me way more then I ever expected. Making these additional videos, made the single biggest impact on my ability to actually complete the film, but also to ensure it had a successful launch and was able to reach people. This morning I want to talk to you guys, about you can be creating videos right now, that help build trust with your audience. That help add a depth to your online presence that will help you stand out, and be rememberable. I want to talk to you right now about the process I went through to start making online videos. Enjoying this article so far? 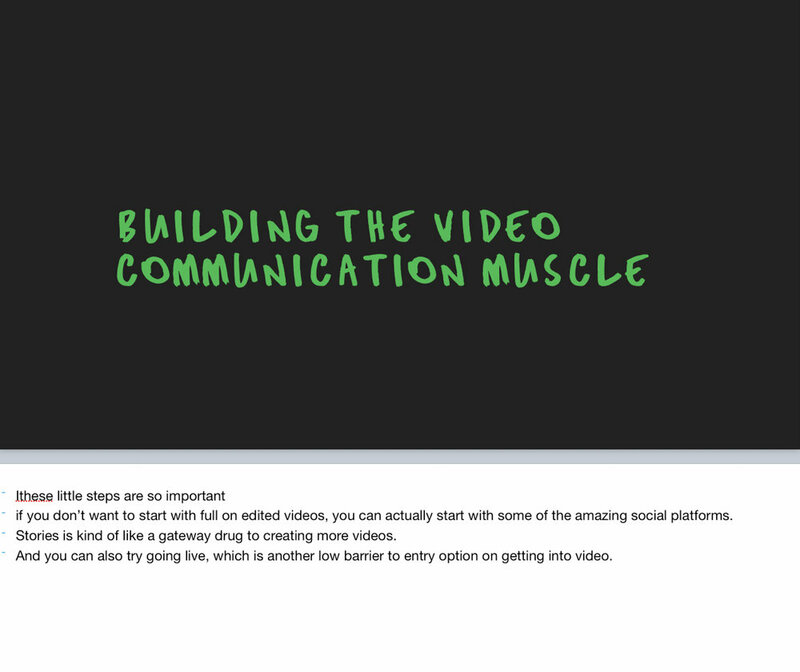 Want to learn more about making incredible videos? Join the Leftcoast newsletter for all our best content. As small business owners, and online entrepreneurs we have and incredible opportunity on our hands to create pieces of video content on a regular basis that helps build and audience, but more so an audience that trusts us. 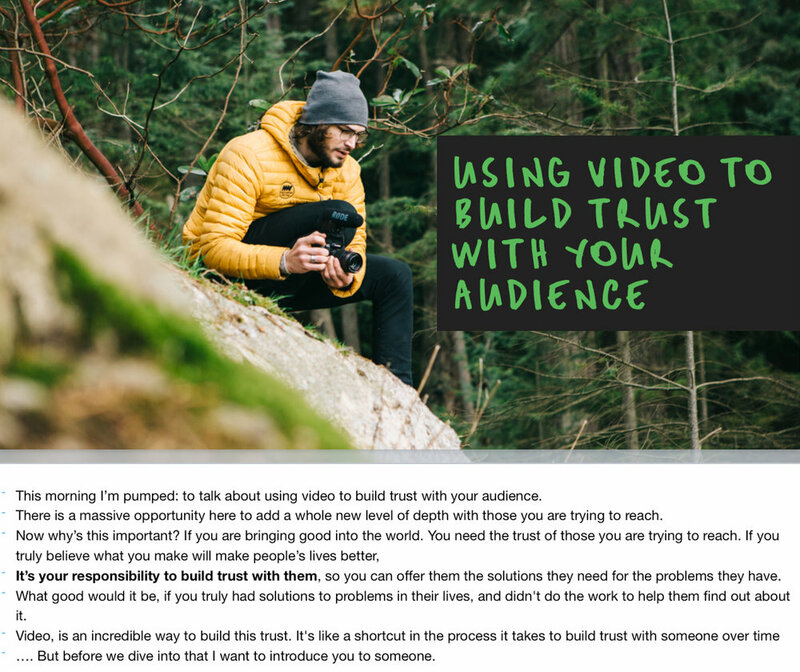 So this morning I’m hoping to help you with making videos for your audience. That’s truly what I want to help you with, YES, I’m a filmmaker, but I want to talk to you about the other videos. The ones you can make. 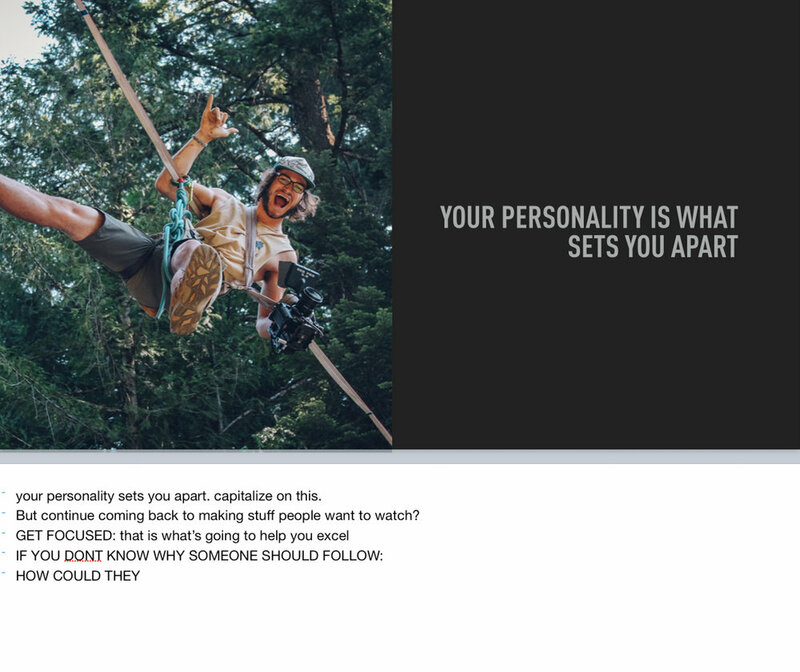 Video content that connects with people is like a hacking step through all of this. 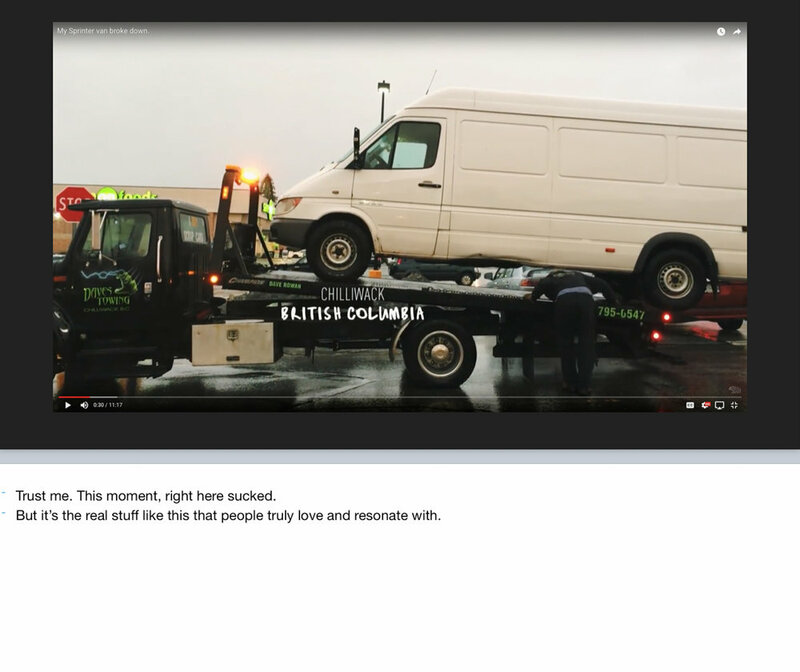 Having the added depth of a video to your online presence. People that watch you on video more than ever feel like they have a connection to who you actually are. They care more about your work. I really wanted to videos to build my audience, but I was running into two big problems. I was having the worst time starting. What pains me, is I knew for years that I should be making videos for my audience. And I just kept pushing it off. It came to a point, where I realized I was saying video was important, but I wasn’t actually doing it with my actions. So that meant I either had to acknowledge I was a liar, or start to take action. I don’t have the right gear. It seems like too much work. What if people don’t watch? COURAGE. Muster up the courage for the step you have to take next. Don't look at the length of the journey. Starting for me was hard because I had a lot of pride in my craft. I was a filmmaker. And now I was reducing myself to trying to share my business goals to a camera for others to watch. I thought my ideas sucked, and I didn’t like the quality. It felt like a lose lose. But I stuck with it and released that first video on our private forums. Turns out encouragement is actually really helpful. By going through this process of actually doing it several things happened. - we now have these amazing short video platforms like instagram and snapchat. Start practicing. So I started making videos. Phew. But the problem is, I made the first few videos about how I was going to start making videos. What do I actually make the videos of? PROBLEM 2: What to make the videos about. This might be one of the most important questions you have to answer, over and over again. I didn’t want to be one of those internet famous wanabe people. I wanted to make things that people found truly helpful. What do you make your first videos about? I realized the answer is, what can you give people? That is the key to making videos that build an audience. What can you give people? If you are going to be uploading your videos to youtube, remember that it is the 2nd largest search engine in the world. This is huge. What questions is your audience asking you? What questions did you have when starting? Let’s take a moment and talk about vlogging. You have to earn the right to vlog. What I mean by that, it is extremely rare to build and audience when the first videos you are making are vlogs. I love vlogging. But your first videos really should be teaching what you know. if it’s quality, people will want to knwo more and stick around. Yes document the process: but try to make stuff people will miss if it’s gone. If you take only one thing away, please remember that. Make stuff that actually helps people. So as I was making my first film I was putting out videos. BTS of the process, and also tutorials trying to teach what I new. At a dozen or so videos I started to develop a pretty good process for tackling this stuff. And it started taking me less time. AUDIENCE WILL BE SMALL:At the beginner stage, unless you have an existing audience to push towards the videos. The audience is going to be small. Really small. But the key is to persist and show up regularly. JAMES CLEAR: SHUT UP & PUT THE REPS IN. At this stage you really want to know what your videos are about. It really helps to put boundaries on the content. I say this at the advanced stage, because when I was starting I really didn’t know what to focus on. - But that is really key. People need to know what you do, and what mental box to put you in. if you can’t answer that, how could they? So I started to figure this out, and it became more clear. I’m not just a filmmaker, but I make adventure films. I don’t make videos about gear really, so I want to help people tell better stories. People want the real you on video. They don’t want to feel like it’s an act. I noticed a big impact on my videos when I started to incorperate more aspects of what made me, me. Context here is important, but include who you are. Okay, so at this point, I had started to make several dozen videos. It was a big victory when these things hit a 100 views. I was stoked. There was new problems for me at this stage. Feeling awkward. And the biggest shift in the way I talk to the camera. remember you are making this video for one person to experience. Some people hit this stage. They’ve made dozens, sometimes hundreds of videos, and yet it feels like the audience isnt growing, and if it is, it’s not nearly as fast as you would like. Remember to make stuff that you would actually like to watch. Just because you make videos, doesn’t mean you deserve having people care. You have to make something that is actually interesting to a group of people. But if you are trying to reach more people, start to recognize the patterns that are working, and try to capitalize. 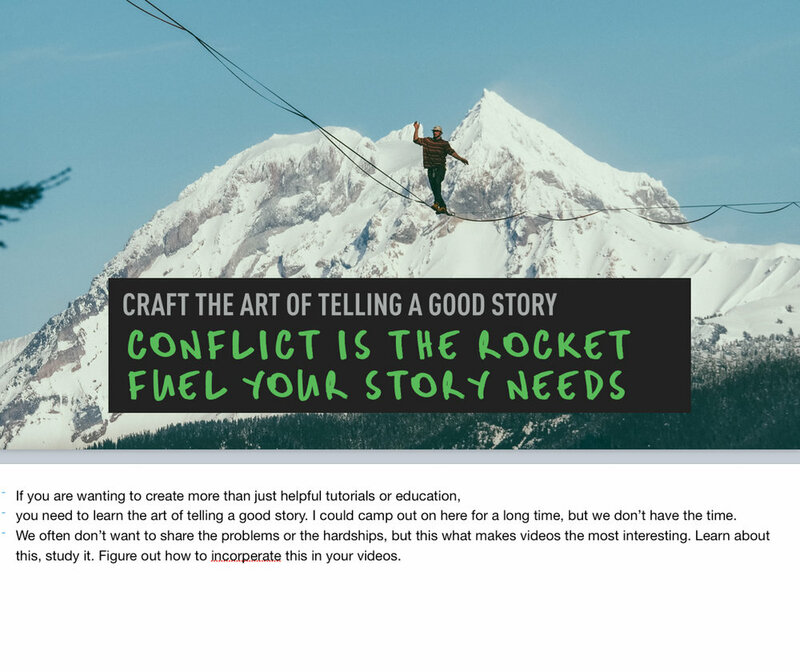 Conflict is the rocket fuel for yourstory. And then tell them you you did and what you learned in the process or what the take away is, or what needs to happen next. This frame work and be easily applied to almost any part of your day. Tell a better story through the structure of your video. When starting, the tendency is to do a lot of sitting down and explaining things in one place. But you can actually capture people’s attention far better if the video is moving around. If it feels like it is going somewhere. Now some of this comes to subjective style, the video needs forward momentum if it’s going to capture peoples attention. That’s when I went through a really powerful shift of mind. To really see things through to the next level, we need to continually be creating plans, and executing on those plans over the long term. When you get in a rhythm and stop asking what people want to watch, you are setting yourself up for failure. This is the stage I see myself currently in. Continually come back to making stuff people would miss if it was gone. The strange thing is, I feel like I know now what steps to take to continue moving in this direction, and yet the execution and follow through can be the most difficult. Make things that are truly valuable here. The power of multiple points of contact. Don’t forget to keep doing what your business was created to do in the first place. So coming back to legacy. 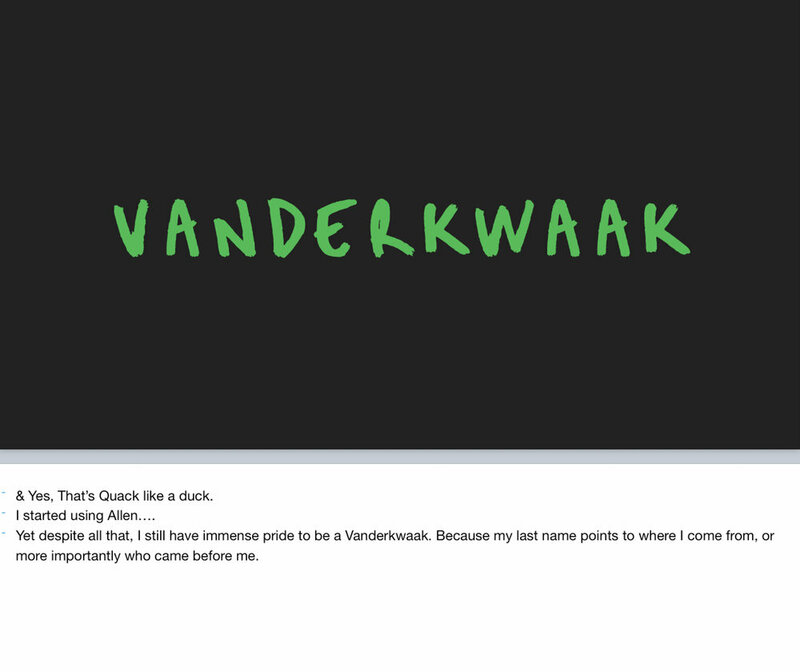 Can you actually build a legacy through video? 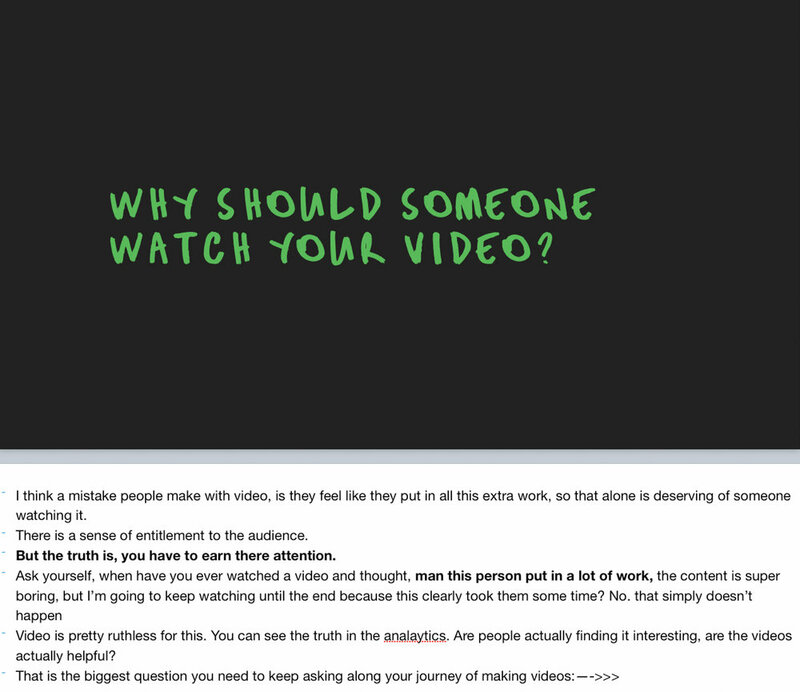 CLOSING: For me starting to build an audience through video has been on of the best decisions I could have made. And I want you guys to start. Phew! You made it to the bottom of the post. For a while I thought I lost you there. I hope you gained something out of this, and found some nuggets of practical advice somewhere in here. 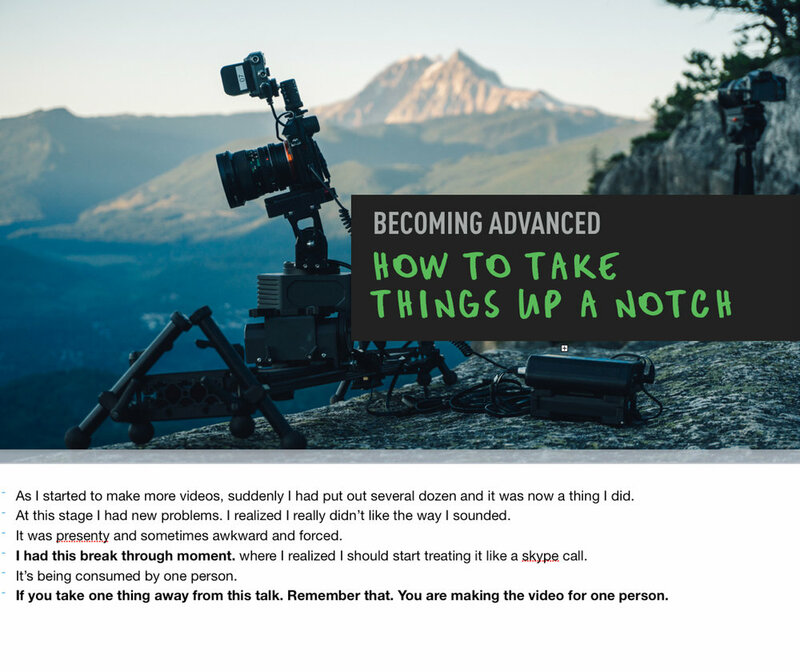 If you enjoyed this I would love it if you passed it along to a friend, or someone you know who should be getting started on video now!